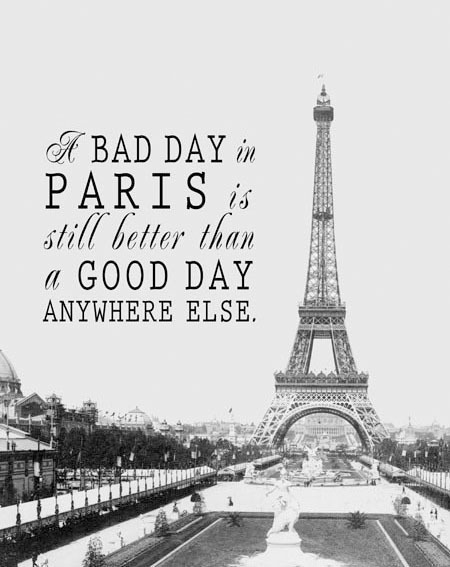 A bad day in Paris. January blues hit me hard today, but finding this lovely photograph with the oh, so relevant typography, I was instantly cheered. So, of course, I had to share it with you! This lovely, vintage style print can be bought from '3lambsgraphics' etsy shop here. Paris is one of my favourite places on earth. The place is stunning and the atmosphere is incredible. I hope to back for a weekend trip with my boyfriend sometime in the near future! If you visit Paris, you need to try snails, they are delicious.